Each week, I write a roundup of travel contests. There are always a ton of great prizes that can be won. When I’m writing the list of contests, I also enter them. I figure, “Why not?” It doesn’t take long, and perhaps I’ll be a winner. Well, that actually happened. 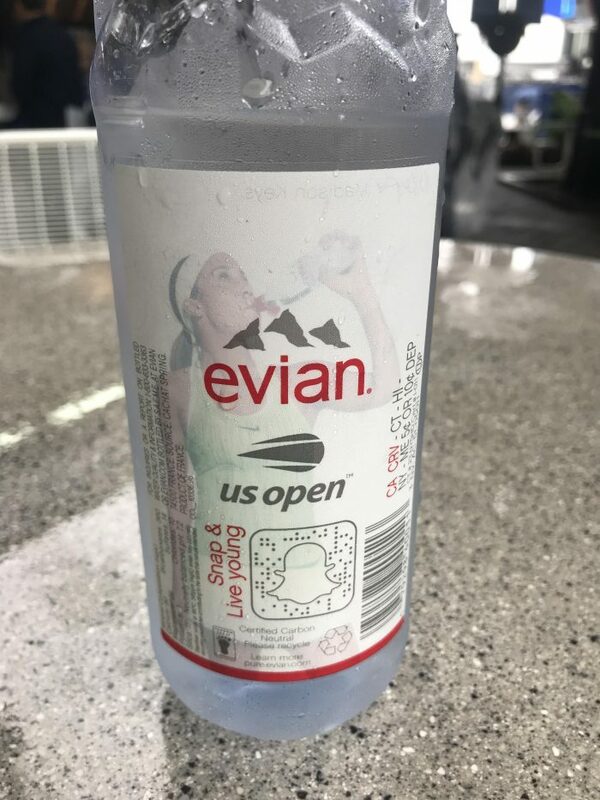 Back in July, I entered a contest sponsored by Evian with a grand prize of winning a trip to the 2018 U.S. Open Final in New York City. A few weeks later, I got an e-mail telling me I had won! 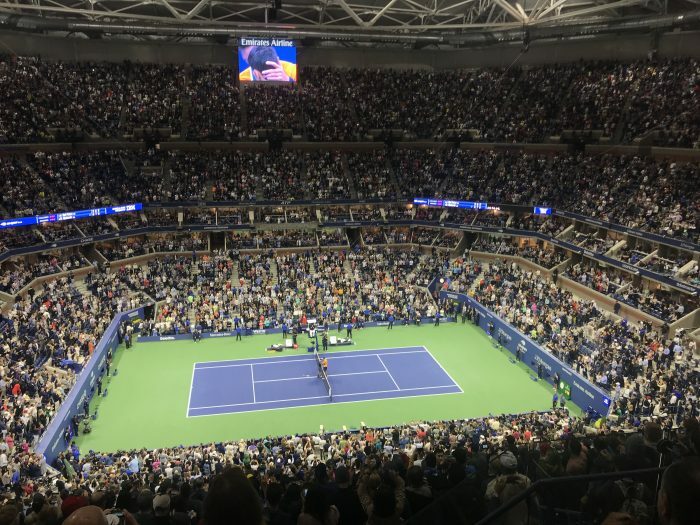 The prize consisted of round-trip flights to New York City, two nights in a hotel near Times Square, transportation to the hotel, and two tickets to the Men’s Final & Women’s Doubles Final of the U.S. Open on September 9, 2018. 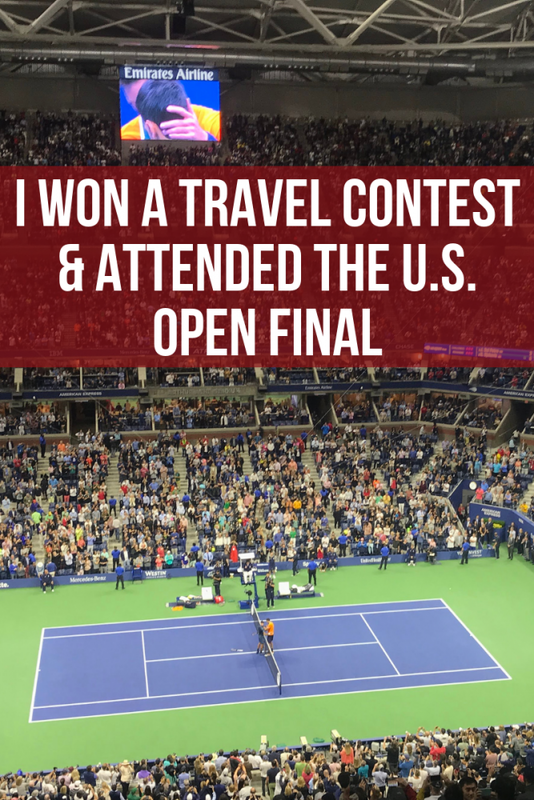 I’ve always wanted to attend the U.S. Open, and to get to do so for the Final was an incredible opportunity. A couple of years ago, I was able to attend Wimbledon on People’s Sunday. If you’re a fan of watching tennis on TV, I highly recommend going and seeing a tournament in person. The action is even more fun to watch in person. My flight to New York was uneventful. My ticket had been upgraded to Main Cabin Extra, which was nice. When I arrived at JFK, a driver was waiting for me. I’ve always wanted to have a driver waiting for me with a sign with my name on it. Of course, my name was spelled wrong. Gotta keep me in my place somehow, I guess. On the first night, we arrived to the Hilton Times Square fairly late, so we just grabbed a couple of slices of pizza, then went to Rattle N’ Hum, a great craft beer bar in Midtown (there are a couple of locations). My friend pointed out that our hotel room (Room 4015), was a perfect room number for people who were heading to a tennis match. The matches on Sunday weren’t until the afternoon. The Men’s Final was set to begin at 4pm. 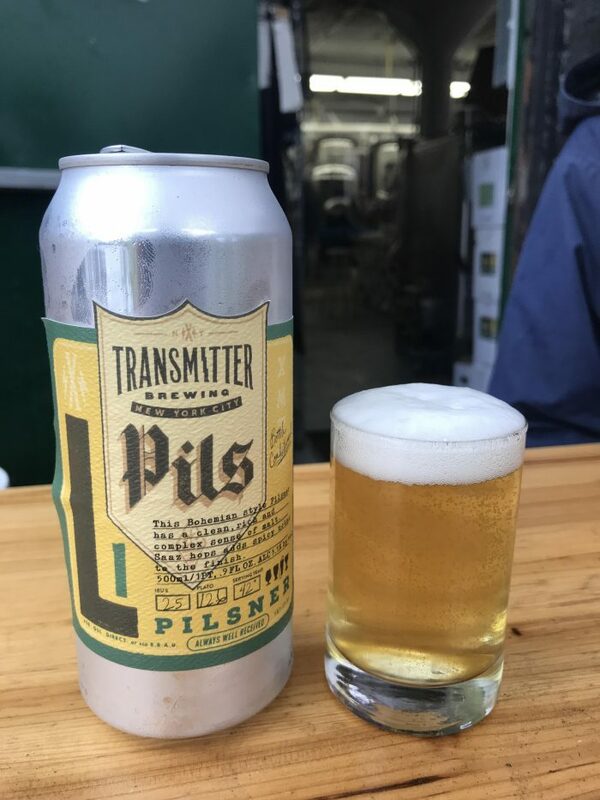 Knowing that it could potentially be a 5 hour match, we decided to spend the rest of the day having brunch and checking out some breweries in Long Island City. 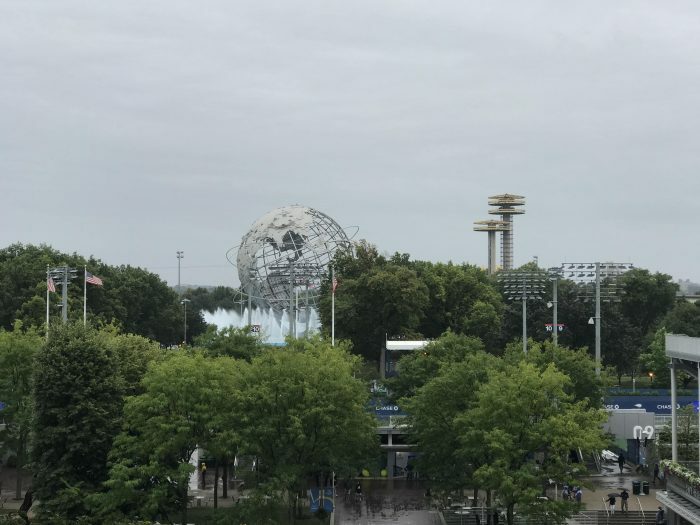 Finally, it was time to head further down the 7 Line to Flushing Meadows, home of the U.S. Tennis Center. It’s a massive complex that’s normally filled with action during the tournament. 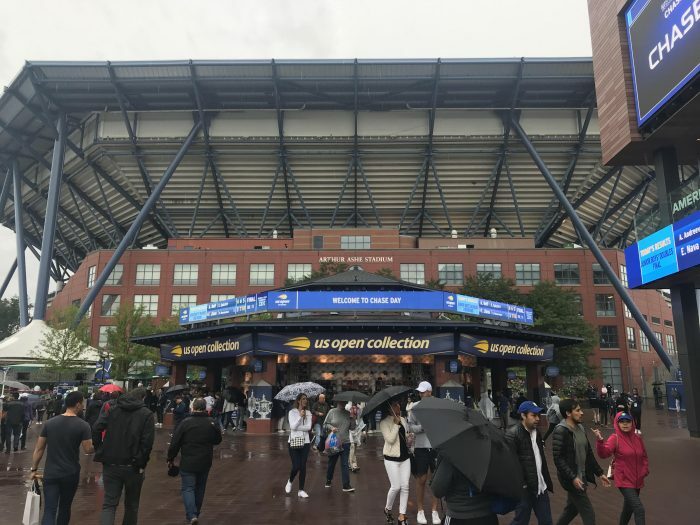 However, it was the final day of the U.S. Open, and it was raining, so most of the grounds were unused. Before heading into Arthur Ashe Stadium, we went for food. One impressive thing that the U.S. Open has done is get high-quality, well-known New York City restaurants to set up shop during the tournament. You’re not stuck with lousy sporting event food here. Of course, you do pay even higher prices as a result. 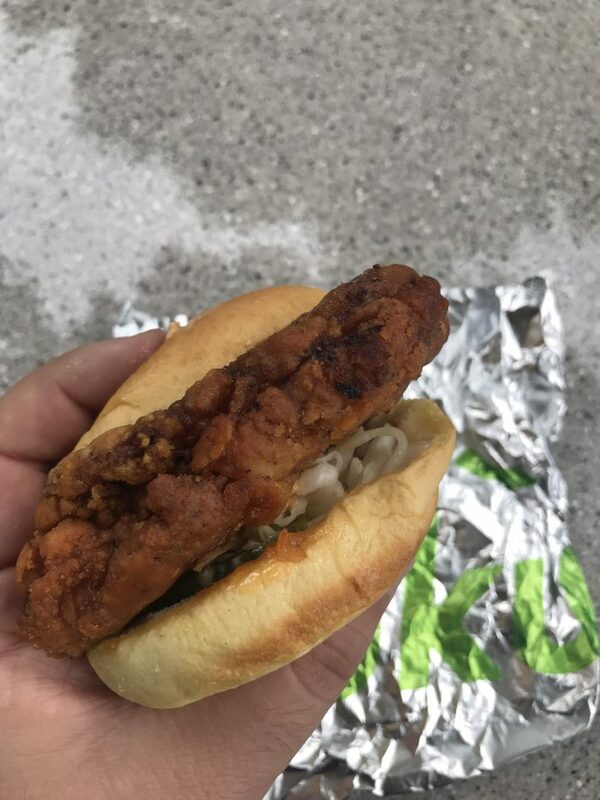 I opted to have the Knockout Sandwich from David Chang’s Fuku. I’d wanted to go there anyway during my visit to NYC. It was excellent. We ate our sandwiches while listening to Bruce Springsteen’s “Dancing In The Dark”, making for the perfect NY/NJ experience. Then it was time to head into the stadium. We caught the end of the Women’s Doubles Final, which was won by CoCo Vandeweghe and Ashleigh Barty. 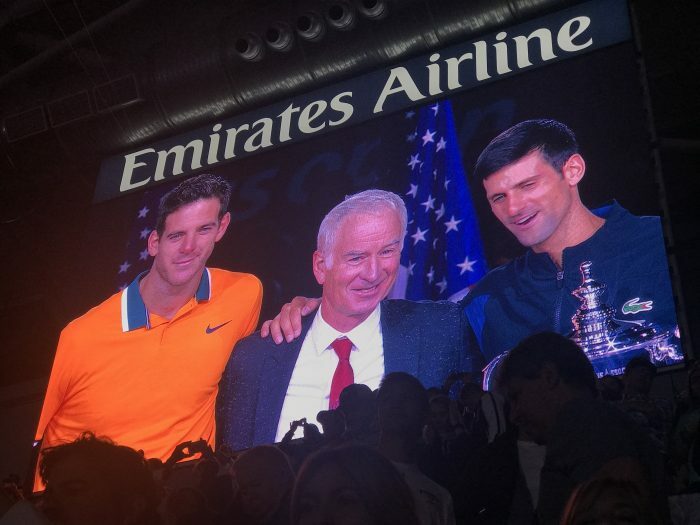 The Men’s Final was between Novak Djokovic & Juan Martin Del Potro. Both had compelling stories coming into the match. Djokovic, of course, is one of the greatest tennis players of all time, one of the Big Four who have dominated the sport over the last decade. Del Potro was sidelined for extended periods with wrist injuries that many feared he’d never be able to recover from, yet had battled his way back to once again be a contender. Both players are known for having passionate fans, but thanks to bountiful Argentinian support, much of it in song, & most neutral fans backing him, Del Potro was the favorite inside the stadium. You could tell this frustrated Djokovic during the match, as he would beckon to the crowd to get behind him. To their credit, everyone did, cheering on good tennis by whoever was playing best at the moment. Djokovic took the first set, 6-3. The 2nd set was an epic battle that went to a tiebreak. 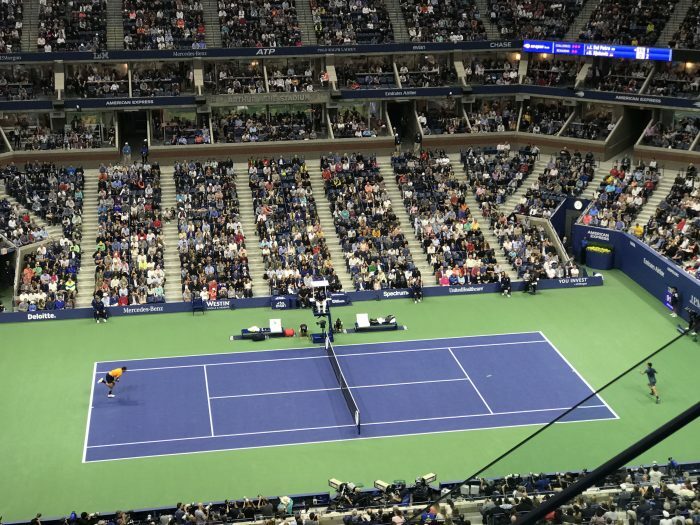 Unfortunately for Del Potro & many of the fans in Arthur Ashe Stadium, he lost the tiebreak. After that, he fought hard, but the writing was on the wall. Novak Djokovic won his 14th Grand Slam title in straight sets, 6-3, 7-6, 6-3. Even though I’d been cheering for Del Potro, I was still happy to see some great tennis. 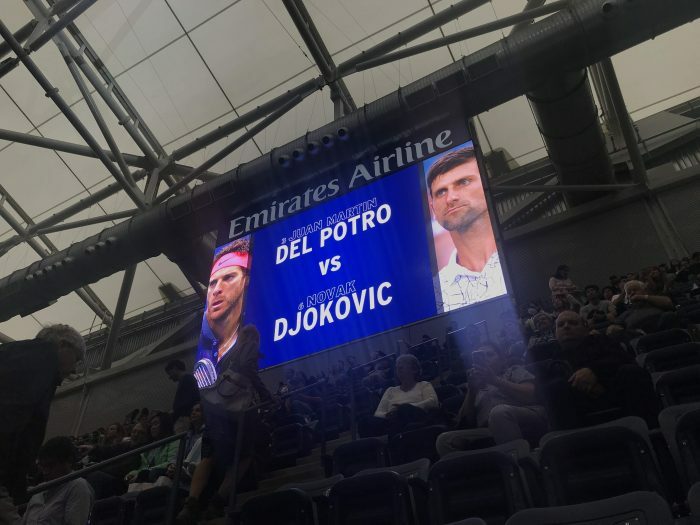 Both men played well, and the atmosphere in Arthur Ashe Stadium was electric, especially since the roof was closed because of rain. Following the match, we headed back to Long Island City for more beer. Thank you to Evian for the experience of a lifetime! I’m living proof that these travel contests are real, and you can actually win some great trips from them! Be sure to check out my latest travel contest posts. Perhaps you’ll be the next winner!